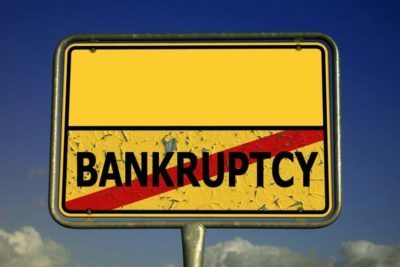 Below is the second installment of a three-part series dealing with typical questions that our Phoenix clients may have regarding Chapter 13 bankruptcy. Can Chapter 13 Bankruptcy Help with My Tax Debts? Most kinds of taxes are not dischargeable without repayment in a Chapter 7 bankruptcy or Chapter 13 bankruptcy, but under some circumstances, certain taxes are dischargeable. There is a complex formula, involving when the taxes were due when the IRS of the state of Arizona assessed the taxes when the returns were actually filed, and many other factors, that determine whether taxes are dischargeable in bankruptcy. Phoenix Fresh Start Bankruptcy Attorneys can meet with you and review any unpaid taxes to determine if the taxes are dischargeable in a Chapter 13 bankruptcy. The good news is that even if the taxes are not dischargeable, Chapter 13 bankruptcy will enable you to repay the taxes through your Chapter 13 Plan. Penalties and interest on your unpaid unsecured taxes will stop being added as of the day you file, as long as your tax returns were filed by their due dates prior to your petition date. Most tax penalties will be dischargeable in Chapter 13. It’s always nice to repay taxes interest-free and slowly instead of credit cards or personal loans and that is exactly what Chapter 13 lets you do. What I really like is that you can pay off cars first, often at reduced rates of interest, and then pay the taxes afterward. Can’t beat that. Can I Take Out Credit While I am in Chapter 13? You must get approval first, but it is not uncommon for people to finance cars and even houses while in Chapter 13 bankruptcy. This is where your attorney comes in. Chapter 13 is only available to individuals. There has to be some source of income to make the plan payments. Often this isn’t a job but a mixture of other sources. There are situations where Arizonans with severely limited means still want to file Chapter 13 rather than Chapter 7 either because of the advantages offered by Chapter 13 or because they are ineligible for Chapter 7 due to a recent filing. Filers without employment can qualify by showing that they have some mixture of unemployment, social security, regular family contributions, etc. that will enable them to make a regular plan payment. There are debt limits for Chapter 13 filers. As of August 5, 2018, an individual is eligible to file a Chapter 13 as long as that person’s unsecured debt is no more than $394,725 and the secured debt is not more than 1,184,200. These amounts change in fact they are scheduled to change in 2019 and there is wiggle room so consult Phoenix Fresh Start Bankruptcy Attorneys before giving up.